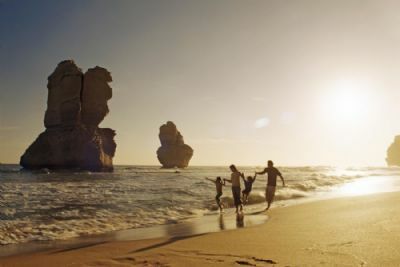 On this all-encompassing journey around the Land of Oz you’ll experience all the highlights of Australia, hitting Melbourne, Uluru, Cairns and the Great Barrier Reef, and Sydney – a full circle for a one-of-a kind Aussie adventure. Culture is what makes Melbourne unique; spend your time sampling restaurants, checking out galleries or experiencing a local sports game. Next you’re off to Uluru Kata Tjuta National Park. 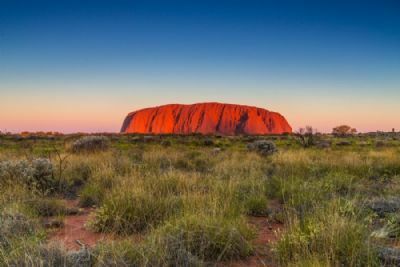 Here you’ll watch the sunset over Uluru, Australia’s icon of the Outback, and listen to the “sounds of silence” while enjoying a traditional meal set under the stars. Cairns and the Great Barrier Reef are next on deck. A full day excursion to this expansive reef complex allows for snorkeling or diving for the water enthusiasts or just a relaxed day filled with fun in the sun. You’ll wrap up your journey with a train ride through Kuranda, a hot air ballooning adventure and a few days in the famed city of Sydney. A perfect trip for a full sampling of Australia, Circle Australia has it all!